State felony and misdemeanor attorney in Missouri/Kansas | Abella Law Firm, L.L.C. Being accused of any crime in Missouri or Kansas is a serious matter regardless of whether it is classified as a misdemeanor or felony depending on the type of crime and whether it is categorized as a misdemeanor or felony will impact the penalties. Class A misdemeanors punishable by up to 12 months in county jail and a fine of up to $2500. Possession of marijuana for personal use is an example of a class A misdemeanor. Class B misdemeanors can carry a penalty of up to 6 months in jail and fines of up to $1000. striking or hitting someone and committing battery is an example of a class B misdemeanor in Kansas. Class C misdemeanors are considered the least serious kind of offense and can be punished by up to 30 days in jail and a fine of up to $500. Patronizing a prostitute is an example of a class C misdemeanor. The felony sentencing guidelines in Kansas are complex particularly since drug offenses are categorized in a completely different way than any other felony. Two primary things are taken into consideration in terms of the sentence faced for a felony charge and those are the individual's past criminal history and the severity level. Drug offenses are classified into severity level 1 through 5 and non-drug offenses are divided into severity levels 1 through 10. In terms of a defendant's past criminal history, level A is classified as the most serious for defendants with three or more convictions for crimes committed against other people. Level one, however, is the least serious designation for a defendant who either has no criminal record or one misdemeanor conviction. FELONY OR MISDEMEANOR CHARGES IN KS/MO? A class A misdemeanor will carry a maximum penalty of up to 12 months in jail and a fine of up to $1000. An example includes passing bad checks for less than $500, third-degree assault, and fraudulent use of a credit card. A class B misdemeanor carries from 30 days to 6 months in jail with a fine of up to $500. Examples include first-degree trespass and a first offense DWI. A class C misdemeanor carries up to 15 days in jail and a fine of as high as $300. Common examples of a class C misdemeanor in Missouri are the first offense of driving with excessive blood alcohol content. In terms of felonies, a class A felony can carry a penalty of up to life in prison and common class A felonies are first-degree robbery and second-degree murder. A class B penalty may carry imprisonment for up to 15 years. Examples include second-degree robbery, first-degree burglary, and voluntary manslaughter. A class C penalty can carry up to 7 years in prison and a fine of as high as $5000. Examples include stealing items valued between $500 and $25,000, second-degree assault, and involuntary manslaughter. A class D felony can include prison time for up to 4 years and a fine of as high as $5000 or twice the amount of the offender's monetary gain from the crime up to $20,000. Common examples of a class C felony in Missouri is writing a bad check or other types of fraud. An infraction will have no imprisonment penalty authorized, but may include fines of up to $200. Getting legal help from a talented Missouri/Kansas criminal lawyer is essential when facing state felony or misdemeanor charges. Attorney Abella’s goal is to respond assertively to potential investigations and charges and to keep the client informed at each stage in the process. 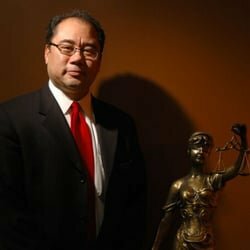 While Attorney Abella hopes to resolve issues sooner than a trial where possible, he always works to prepare each case as if it will ultimately go to trial, giving you the peace of mind that you have someone working hard for you from day one.